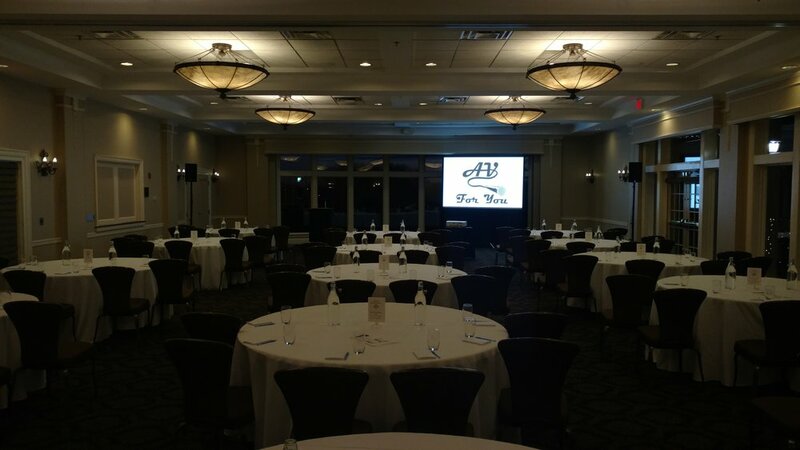 AV for You provided Audio and Video Rental Equipment as well as AV Tech Services for a Club Management Association - Upper Midwest Chapter meeting at the Minneapolis Golf Club. For audio rental equipment we provided two QSC K8 Powered Speakers, our Shure QLXD4 Distro Wireless Microphone Rack and a Mackie 1604-VLZ Pro 16 Channel Mixer. For video rental equipment we front projected our NEC 5K HD Laser Projector onto an 8’ Tripod Screen. We utilized a Playback Pro Computer and our Analog Way QuickVu Video switcher to toggle between powerpoint and video clips. We used our HDMI/SDI Cross Converter Kit to distribute HD Video signal to the projector.